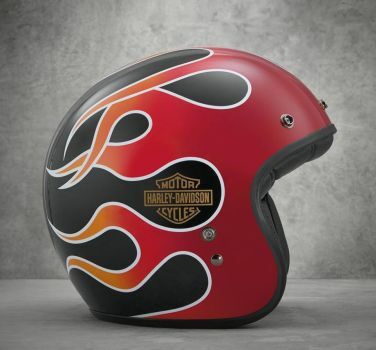 The new Retro Flame 3/4 helmet features flame artwork that is a throwback to the Wide Glide tank graphics. The slick, glossy shell features its artful design in bold colors. For a custom look, add a shield or visor to this open face motorcycle helmet.